Distractions are a common cause of car accidents in New Zealand and around the world. Cheap car insurance is one way of giving yourself a layer of protection. However, being conscious of the most common distractions will increase your awareness and can reduce your chances of getting into an accident. A recent study identified the distractions most likely to cause an accident - read about seven of them below and stay safe on the road. Daydreaming and being lost in thought is the number one distraction that affects drivers. It’s easy for your mind to wander when you drive, regardless of what speed you are travelling. You could be stuck in traffic and accidentally rear-end someone, or you could be cruising on the motorway and not notice you are going over the speed limit. It happens to everyone, and we very rarely do it consciously, so it’s crucial to be aware of this potential distraction more than any other. Everyone knows that using your phone while driving is dangerous, but many accidents still happen as a result of mobile phone use. Studies show that using your smartphone behind the wheel can increase the chances of an accident occurring by 20 percent. Despite this, a growing number of people are still using their smartphones when driving. Putting your phone away when driving will greatly reduce your chances of getting into an accident. Whether it be good friends or young children, passengers are another common distraction for drivers. Research has shown people have greater difficulty driving when they have someone sitting next to them. A passenger providing complicated directions or just laughing about something on their phone can cause a distraction. Drivers easily distracted by activity outside of their vehicle can often get into accidents, whether the cause is pedestrians or other motorists. While it’s important to remain alert near pedestrian crossings and in low-speed areas, large groups of people are common causes of this distraction, such as a sports crowd or members of a parade. 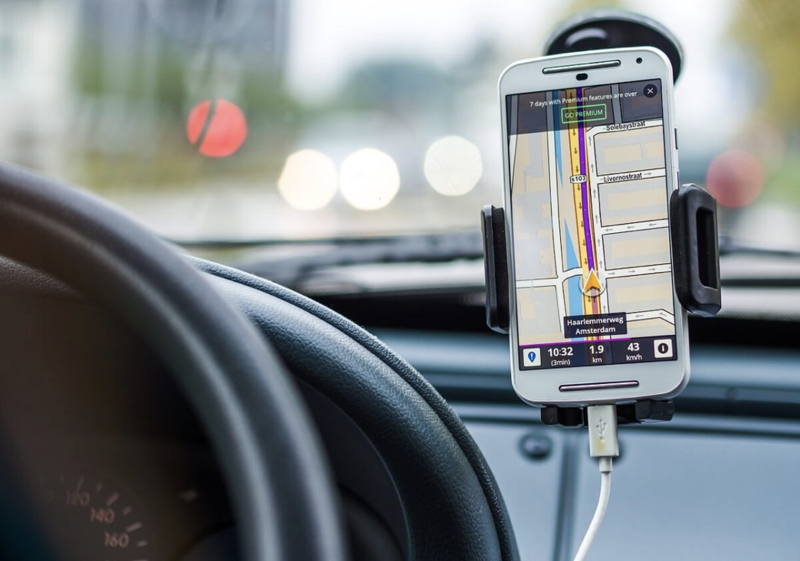 It may sound like a minor thing, but taking your attention away from the road for a split second to adjust the air conditioning or your GPS navigation is one of the leading distractions that can cause accidents. The radio is another common car distraction faced by drivers. Carpool karaoke is a favourite pastime but it’s easy to get distracted when you’re jamming to a favourite song. While we’re not saying you shouldn’t enjoy your favourite music, it’s good to be aware of any possible distractions this can cause. Grabbing food on the run is something many people are guilty of. Studies show that eating and drinking result in slower reaction times as your mind is trying to focus on multiple tasks. One easy solution is to adopt a no-eating-or-drinking policy in your car. Car accidents happen more often than you think, and it’s important to be prepared for any situation. With glimp, you can compare car insurance quotes for free to find the best deal available. Try it today.